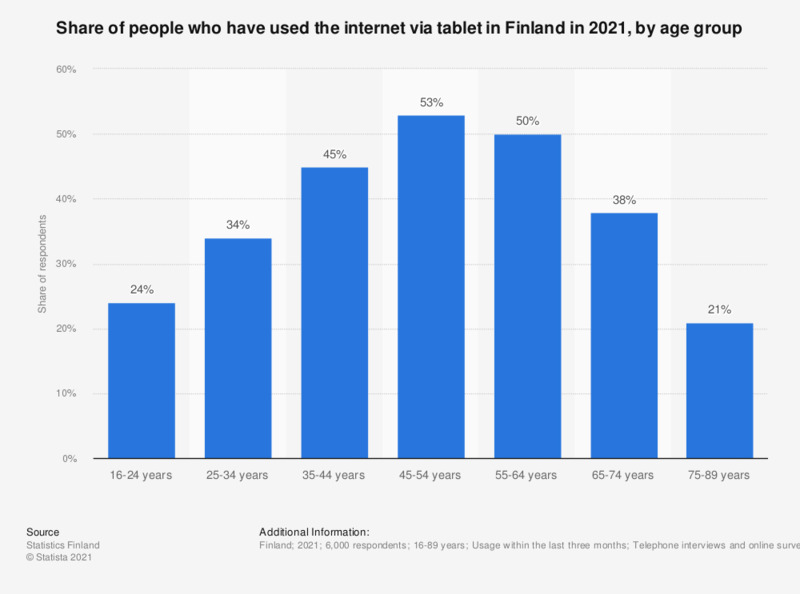 This statistic shows the the share of persons who have used the internet via tablet in Finland in 2018, by age group. 35-to-44-year-olds were the most active internet users via tablet with 56 percent. 36 percent of the 16-to-24-year-olds used a tablet for accessing the internet.